Disney Toy Story Bullseye Rocker Just $19! Down From $30! You are here: Home / Great Deals / Disney Toy Story Bullseye Rocker Just $19! Down From $30! 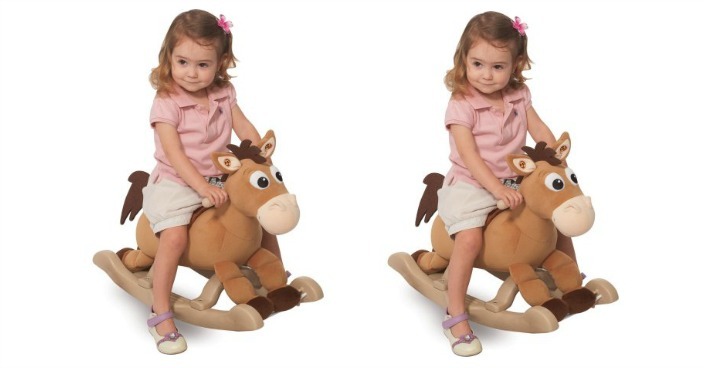 Right now you can get this Disney Toy Story Bullseye Rocker for just $19 (Reg. $30) at Walmart! The Toy Story Bullseye Rocker features a soft and adorable body that provides comfortable seating for long hours of rides. Realistic pony whinny, trotting sounds and lively music add to the delight!